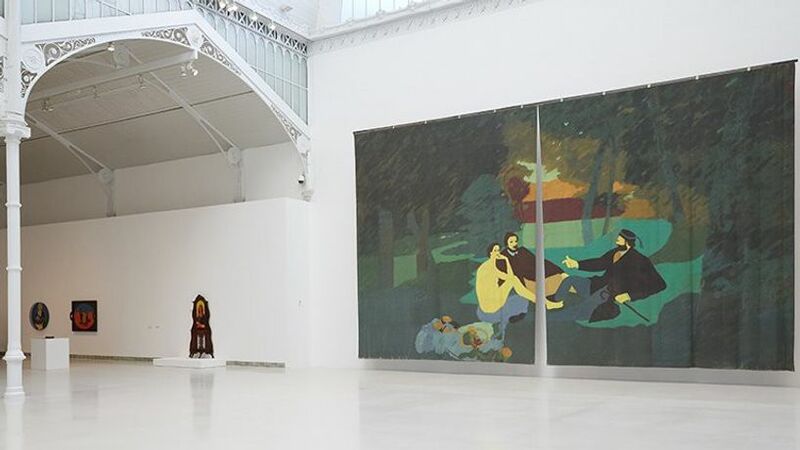 The work of Beatriz González, widely regarded as one of the seminal artists from the Colombian art scene, occupies a unique place in the history of Latin American art — not only is she a pioneer of Pop Art, but also, almost without calculation, an incisive and coherent chronicler of recent Colombian history. Setting out from the anonymous quote “art relates what history cannot” — used frequently by the artist — her work orbits around memory; memory not as a pretext for nostalgia, but, on the other end of the scale, something tightly bound to the present. González draws inspiration from the mass media, engaging in dialogue with popular narratives and formal painting, or appropriating press photographs, reinterpreting them through drawing, painting, graphic art and sculpture.